There are a few free lead nurturing software packages out there; however, don’t be fooled. My momma always said, “son, there’s no such thing as free”. Free usually comes with a cost. 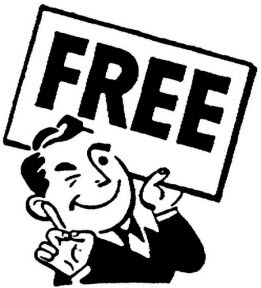 Whether its license limitations, an underperforming product or poor support/backing – nothing is free. If it doesn’t cost now then it will cost later. In my professional experience I’ve seen companies opt for free or less expensive solutions over slightly more expensive solutions that are higher quality. They implemented alternative solutions just to save a few thousand dollars. These companies got so deep into the implementation that they couldn’t back out. A poor performing, feature-limited and license right-limited product ended up costing them more money in the long run. What people don’t realize is it’s not all about cost. It’s about value, quality, direction and a partnership you (hopefully) get from a vendor. Seek out a partnership, not a vendor-customer relationship. Seek out an investment, not a low cost solution. • Free attracts the wrong crowd that you don’t want to be involved with. Companies/individuals inundating a system, overloading it and/or taking advantage of it for purposes different than what it was intended for. That could have adverse effects on your business and implementation such as performance hits. • If you need help with your lead nurturing strategy you probably won’t get much attention from a vendor if you’re not paying them. Consider the whole solution necessary to drive results. Usually, the whole solution is product plus people. • What’s next after the free version? How much do you have to pay? What are the boundaries of the free license? Fill out the form on the top right if we’ve convinced you to stay away from free. We’re not free, but we’re worth every penny. Don’t look at lead nurturing as an added cost to your business, think about it as an investment in your business. Learn more about Lead Liaison’s lead nurturing software today! Should You Invest in Lead Nurturing? Are You Ready to Nurture Your Leads?